I have been fighting with my computer all day... things loading slowwwwly, shutting down for no reason, losing posts half way through. Everything about this week's challenge has been, well, a challenge for me. i've been trying to blog simultaneously through my computer and my phone, but both are proving to be quite frustrating. We had an amazing and totally awesome break through this week with Artoo! I can't adequately express how excited it makes me that I'm feeding my son this for lunch. It may seem like an ordinary lunch of grilled cheese and French Fries, but to me it's an extraordinary victory. My son's neurological disorder Moebius Syndrome causes (among other things) facial paralysis especially around his mouth. He has a small asymmetrical tongue that does not have full range of movement. For the past 4.5 years all his solid foods have been smooth purées, with the exception of bananas and soft cookies. In the past two weeks he's started eating hard crackers, and has shown interest in eating food like his big brother eats. Things like traveling or eating at a restaurant have always been so difficult for us because it's hard to feed him things that are safe. A simple grilled cheese sandwich and French fries have opened up a huge world of possibility for us. Feeding him has always been a source of anxiety for me as we registered him for kindergarten in the fall. But we are slowly building a repertoire of safe snacks and foods for him that I would feel comfortable sending to school. This a HUGE deal for our little family. Like, seriously. HOW FREAKIN' COOL IS THIS?? i'm so happy with this new progress. YAY ARTOO!! Okay, i hate to brag but...aw, who am i kidding... MY KIDS ARE SO CUTE!! The weather seems to be cooperating again and that means walking through the park to and from school. Chewie really wanted me to take some pictures of the boys on this big rock by the pond. I'm glad i did. Also, Chewie had his year end Piano Recital on Friday - and if i may say so myself, he was fantastic! He played so well, and after receiving his certificate for completing his second year of piano lessons , he also won a Shining Star award for Outstanding effort in daily practice and consistent dedication! Some people may ask, what's my secret? Well, my secret is if he wants to play video games he must first practice piano, make his bed, and clear all the dishes the night before. My son practices EVERY. SINGLE. DAY. ....he really loves video games. We also went and got a great haul of comic books for Free Comic Book Day - this was our first FCBD and it won't be our last. All weekend long Chewie has been sitting in his room or at the kitchen table reading comics. Artoo got a little bit of FCBD action too, his very own sweet sweet SpongeBob comic. This may be the beginning of a beautiful relationship between my boys and comics.... only time will tell. Weekly Challenge #216: "UMT - Brella by Bunny Wright, CZT"
MAY THE 4TH BE WITH YOU! ALWAYS! now, if you've been following this blog for a while, you may know that Star Wars is a BIG DEAL in our house. Hell, my kids online nicknames are Chewie and Artoo. my kids are so cute. SO i couldn't have my challenge land of May the 4th without at least doing SOMETHING special for it. But - today is also the first Monday of the month - which, as you know, is a Use My Tangle challenge where the challenge is to do a tile using a tangle created by YOU! typically when i select a tangle from the UMT list, i use the random number generator www.random.org but this month i was looking for a darker looking tangle. And i found one that did the trick. join the dark side, we have micron pens. I used an offical zentangle apprentice tile which is larger than the 3.5" tiles. i wanted to make sure i had room enough for Darth's big head. TO BE CLEAR: the challenge is to use 'Brella in your tile. If you'd like to add a Star Wars flair, that's totally up to you. The 4th is Strong with this One! Great news about Artoo! Great challenge, too! I love Brella and Star Wars - I'll come up with something there... What I want to know is what is taking Jean Chaney so long? It's already 8:28 here in Arizona and she hasn't posted yet!!! Such great news about Artoo, I'm so happy for you!!!! I like this tile of yours a lot. 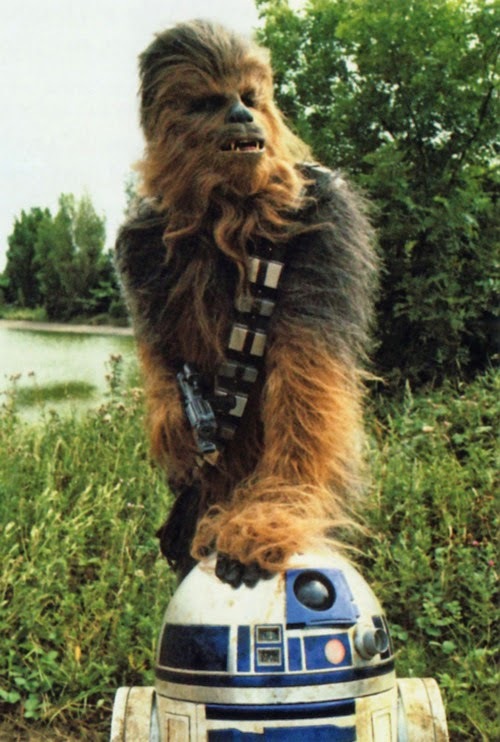 So very happy to hear such great news about Artoo! I love your Darth Vader. Sorry, Antonine, doctors apts do come first at my age LOL! Your blog today is really happy! I'm so so thrilled about your sons eating progress, what a joy that must be. And you are right, your boys are so cute. Your tile is mega awesome, a real work of art. Watching your boys grow up, Laura, has been a pleasure and sometimes a tear jerker. You are a fine mom (and dad) and I award you the gold star of wonderfulness for mother (and dad). Really. May the 4th be with you, luv. Thanks for sharing information about Star wars day! I really had no idea about it. It's not big in India I guess.. Given the present weather here in Bangalore, 'Brella was perfect tangle. And your kids are really cute. It is so good to hear Artoo is making so much progress. Being able to eat more things will, make such a big difference to you all. Your boys are both stars! Thanks for all the challenges. This was a great challenge! Thanks for all you share- my son lived and breathed Star Wars from early on. (At the ripe old age of 26, still uses lines in appropriate context for life situations) I am so happy to hear about Artoo's progress and am certain that your positive approach to life plays a large part in his success. My dad always told me that God (or the Force, if you wish) only tests those that He loves and trusts. He loves and trusts you! May the Fourth always be with you. Wow...grilled cheese and french fries...those are definitely the best when traveling. I still love them! Yeah, Artoo! 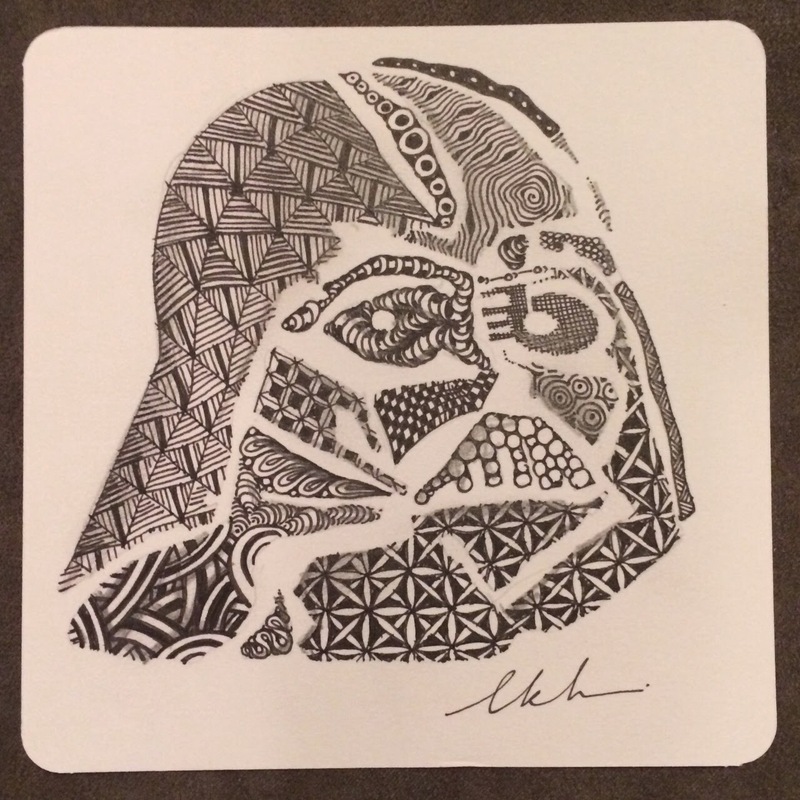 Laura...love your rendering of Darth Vader, Wayne did a death star and had a lot of fun doing so. Love to come by each Monday to see what you are putting forth. Thanks for all the time you put into this. That is fantastic news about Artoo! And I love your Darth. I've never really been a Star Wars person (hanging my head in shame), but I did take on the challenge this week and enjoyed it immensely :) I appreciate that you always make me stretch my boundaries with your challenges! Great tile and even greater news about Artoo! Thanks for the challenge, as usual! Wow, that 'brella sure was tedious though! (I struggle with grid based tangles cause I tend to get bored.) I'm happy with my first monotangle though! I love your blog. This is the first time I've completed the challenge and shared. Happy to be here! Great news about Artoo's breakthrough. And great tile. I have to admit that Brella wasn't one of my favorites, but I did manage to come up with a decent tile. Thanks for all your inspiration. Sorry, I didn't post at the right place at first. Could you please remove my participation below (challenge #215, entry #87).